stains, and odors caused by urine, vomit, and even feces. 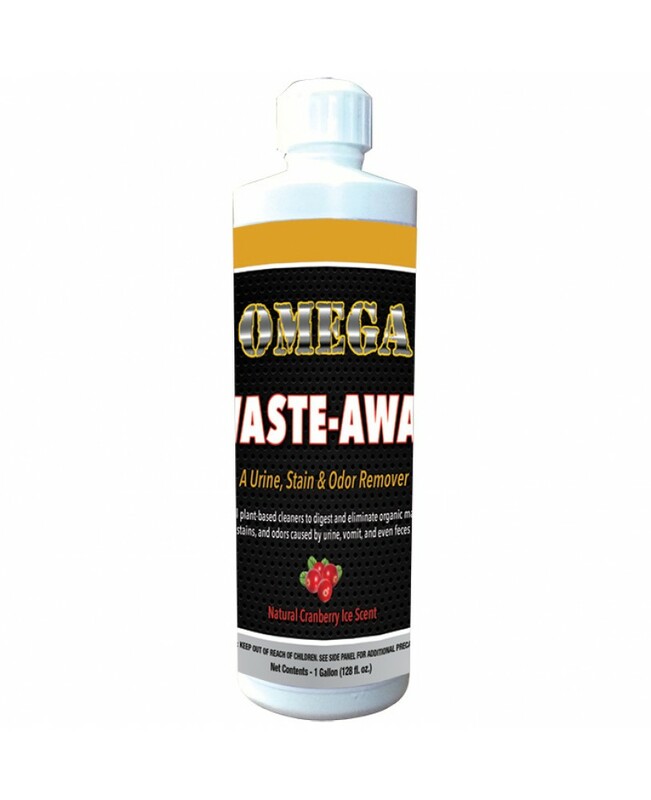 Ready to use Waste Away Stain & Odor Remover enlists natural bio-enzymatic technology combined with natural plant-based cleaners to digest and eliminate organic material, stains, and odors caused by urine, vomit and feces. Waste Away can also be used for carpet and pads and other malodorous areas such as, upholstered furniture, drains, laundry, garbage disposal, sports equipment, RVs and automobile carpeting.